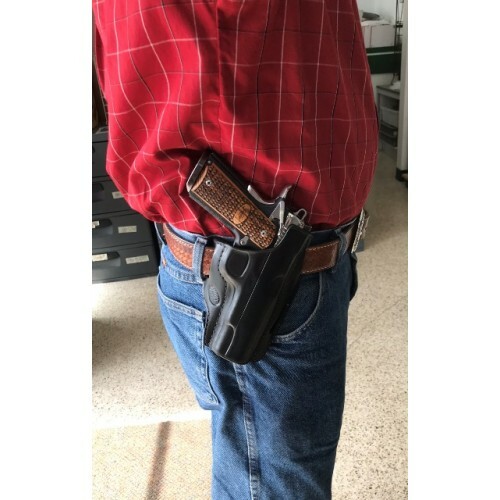 The Pancake Holster made by Stoner Holsters is a belt slide holster made from two premium Veg-Tanned 7-8 oz. pieces of cowhide. 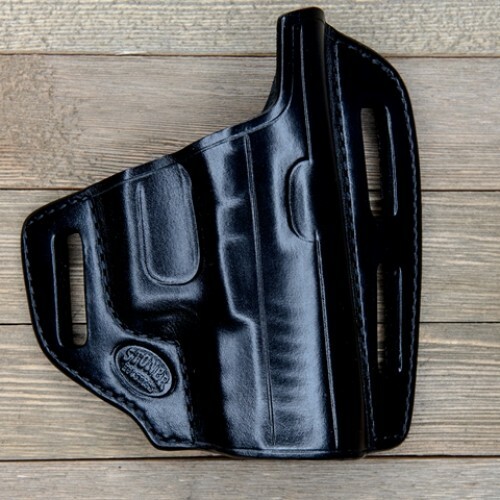 Its unique two-piece design is contoured on the body side to the natural curve of the hip, with all of the molding on the front of the holster. This makes the holster significantly more comfortable and gives it superior looks. 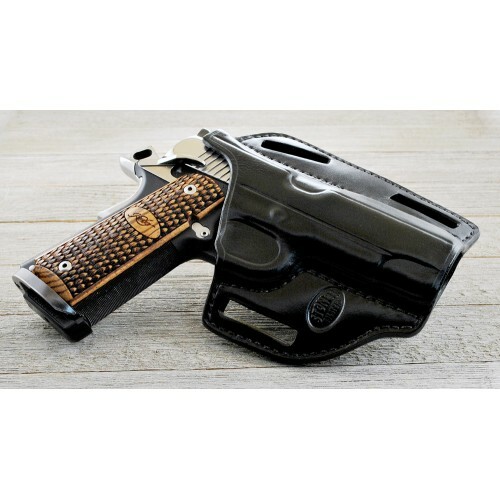 The holster's forward Cant design allows effective concealment for even large firearms. The Pancake Holster features 3 belt slots for an adjustable Cant. This allows you to carry Strong Side or Crossdraw. 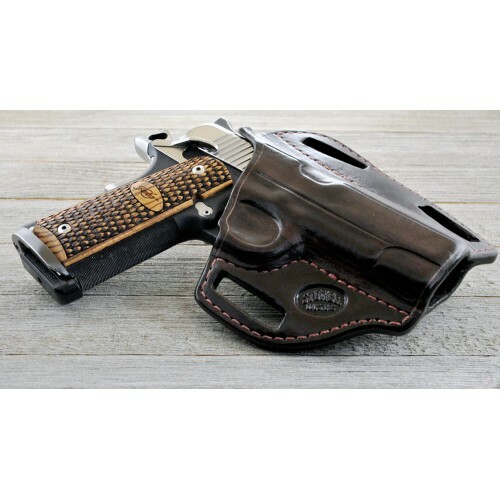 The Pancake holster by Stoner Holsters is designed to fit most Semi-Autos and revolvers.